If you don't feel like prepping a five-course meal this Thanksgiving, several Denver restaurants offer turkey with all the trimmings. Start off the holiday with brunch and end with traditional turkey at one of these Mile High establishments. Restaurants are listed in alphabetical order. Thanksgiving falls on Thursday, Nov. 22, 2018. Downtown's 1515 will offer a selection of five main courses for Thanksgiving Day, ranging from traditional turkey to vegetarian risotto. Desserts include classic holiday favorites such as pumpkin pie, as well as chocolate mousse and crème brulee. Prices are a la carte. Appetizers, sides, and a children's menu are also available. The Corner Office offers its comfort-food take on the holiday with a three-course meal for Thanksgiving. 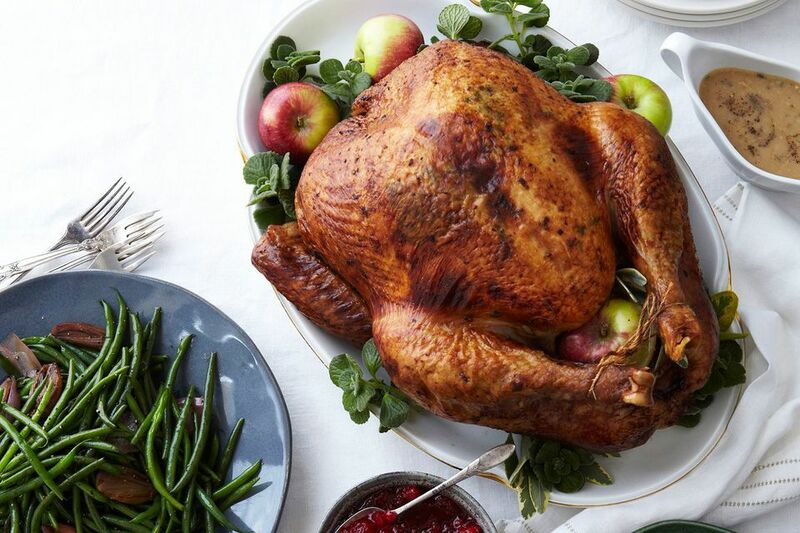 The LoDo restaurant is featuring roasted turkey, honey-glazed ham, bourbon yams, and more for $45 for adults and $20 for children under 12. Enjoy a traditional Thanksgiving dinner served in a replica of historic Bent's Fort from 11 a.m. to 3 p.m. The dinner includes turkey breast, homemade sausage, and apple stuffing, and brandied pumpkin pie. The cost is $45 for adults and $29 for children. The Fort will also offer limited selections from its regular menu on Turkey Day. The Denver Tech Center restaurant is serving up a Thanksgiving feast with turkey or seafood options. Adults are $28, and children are $9.99. The downtown McCormick & Schmick's is also open on Thanksgiving Day. The uptown restaurant, located at the Warwick Denver Hotel, is serving a Thanksgiving brunch buffet from 10 a.m. to 3 p.m. for $55 for adults, $18 for children five and older, and free for children under five years old. One of Denver's premier steakhouses offers a traditional Thanksgiving meal on Turkey Day. Ruth's Chris will feature a three-course turkey dinner for $39.95 for adults and $12.95 for children. Fixings include sweet potato casserole. The Table Mountain Grill and Cantina in Golden offers a Southwestern take on Thanksgiving from 10 a.m. to 4:30 p.m. The buffet includes roasted turkey breast and drumsticks, prime rib, traditional sides, and seasonal desserts. The Turkey Day buffet features costs $42 for adults, $35 for seniors, and $16 for children ages six to 12. Children under six eat free. If you prefer to give thanks for red meat (and lots of it), Texas de Brazil in Stapleton is the perfect spot. Carnivores can indulge in unlimited amounts of 16 cuts of meat, as well as a top-notch salad bar. Dessert is included as well.